The right renovation projects can do more than just improve your home’s aesthetics; they can also reduce your home’s energy usage. If you want to create a better-looking home and save money on your utility bills, consider the seven following renovations. Add weatherstripping to the bottom of all doors connecting the interior to your home to the exterior. Without weatherstripping, cooled or warmed air will escape through the bottom of your doors. Furthermore, weatherstripping offers a more finished and complete look to enhance your home’s aesthetics. The U.S. Department of Energy (DOE) recommends measuring the length of your doors and adding 5 percent to 10 percent extra. If a door is 80 inches wide, you should cut a 86- to 90-inch piece of weatherstripping. This gives you a little wiggle room in case you make a mistake when installing it. According to Spark Energy, up to 25 percent of a home’s thermal energy will escape through windows when curtains aren’t present. Not all curtains offer the same level of protection from energy loss, though. Thermal curtains, for instance, are specifically designed to minimize the amount of thermal energy your home loses through the windows. They are usually made of thick, heavy-duty materials like polyester or insulated cotton to achieve a higher level of energy efficiency. 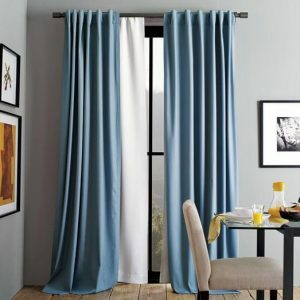 Keep in mind that thermal curtains are not the same as blackout curtains. Blackout curtains are designed to block sunlight from shining through while thermal curtains are designed to block thermal energy. Windows provide an excellent source of natural light in your basement. Unfortunately, many builders use low-quality materials when constructing basement windows, resulting in a poorly efficient home. Using decorative window wells, however, you can keep your basement illuminated with natural light while minimizing loss of thermal energy. Window wells consist of a semi-circular hole dug in front of the window, often accentuated with aesthetic brick pavers. We can’t talk about energy-saving renovations without mentioning solar pannels. According to EnergySage, a solar installation offers an average savings of about $10,000 to $30,000 over a 20-year period. 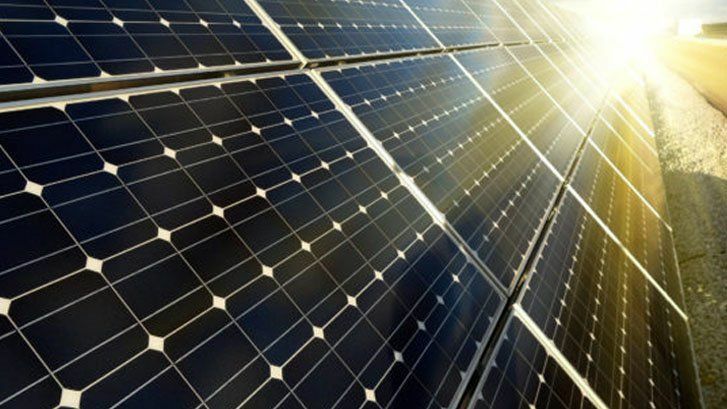 Whether you choose polycrystalline silicon, monocrystalline silicon or thin-film panels, you’ll reap the rewards of lower monthly power bills. Once installed, the solar panels will collect and convert sunlight into electricity for use in your home. Consider installing energy-efficient mood lighting in your home. Also known as scene lighting, mood lighting lives up to its namesake by defining the environment’s mood. Most conventional light fixtures use incandescent bulbs with an on and off switch. Energy-efficient mood lighting, on the other hand, uses compact fluorescent lighting (CFL) or light-emitting diode (LED) bulbs with a dimmer switch. Using this dimmer, you can adjust the amount of light projected by the fixture. If you’re watching TV in the evening, for example, you can turn it down to create a more pleasurable viewing experience. If your appliances are older than 10 years, it’s a good idea to invest in newer models. Washing machines, dryers, ovens, refrigerators and even microwave ovens are now designed with technology to reduce their overall energy usage. When choosing appliances, look for the ENERGY STAR logo. Major household appliances featuring the ENERGY STAR logo are 10 percent to 20 percent more efficient than conventional models. Unless you’re unusually wealthy, chances are your home was built more than a decade ago. The older your home is, the more likely it is that your furnace or AC unit need to be replaced. Newer units will save you money on your power bill and help reduce both your carbon footprint and your drain on community resources. Contact a professional to repair or replace your heating and air system today! While these renovations require time and money, you have to think of them as an investment. Over the course of a few years, you’ll actually recover more money than what you spend on these projects.